One of Stephan LePodd’s adventuring machines. 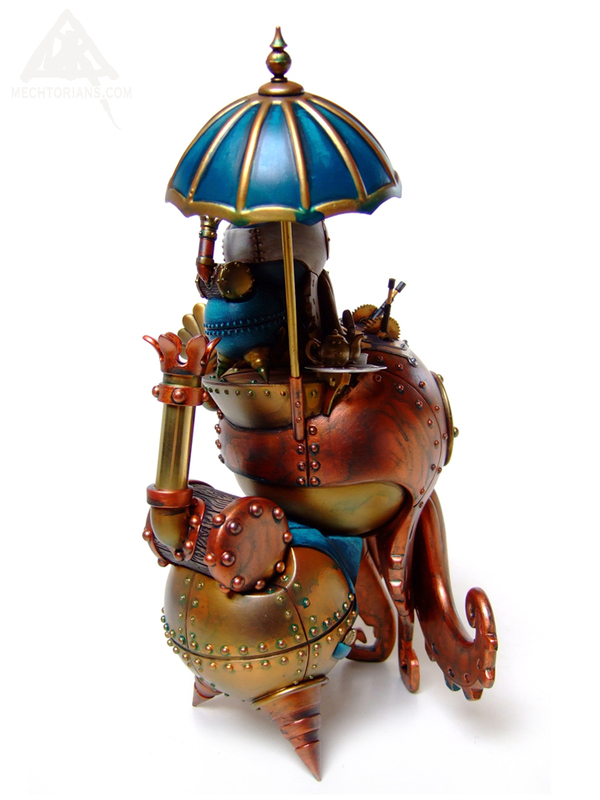 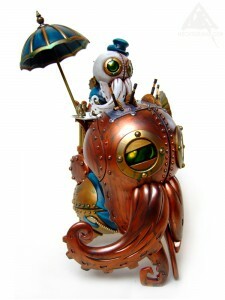 Over the years Stephan has commissioned various vehicles and contraptions to aid his speculative travels around the planet. From flying platforms to burrowing torpedoes. 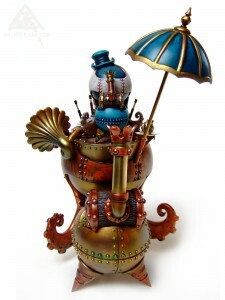 This slightly egotistical creation is mostly used around the city on high days and holidays. 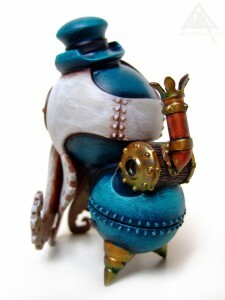 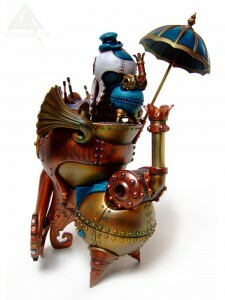 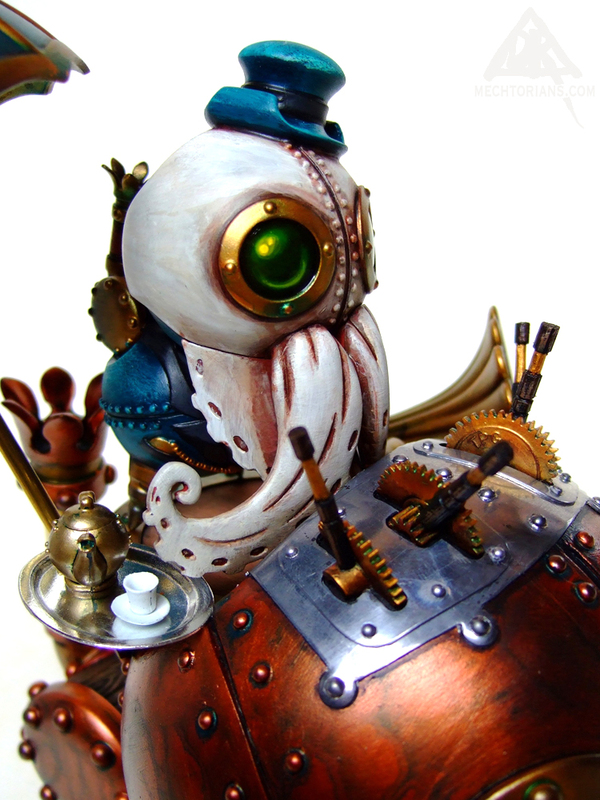 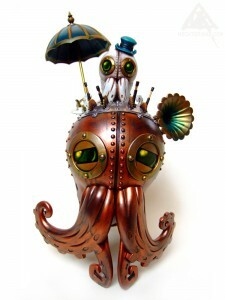 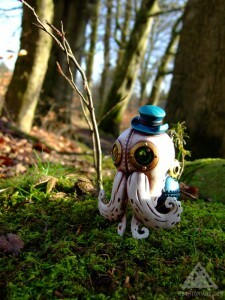 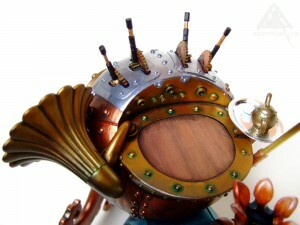 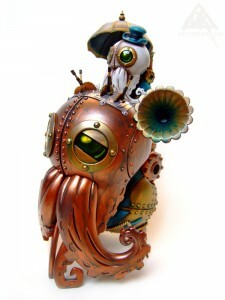 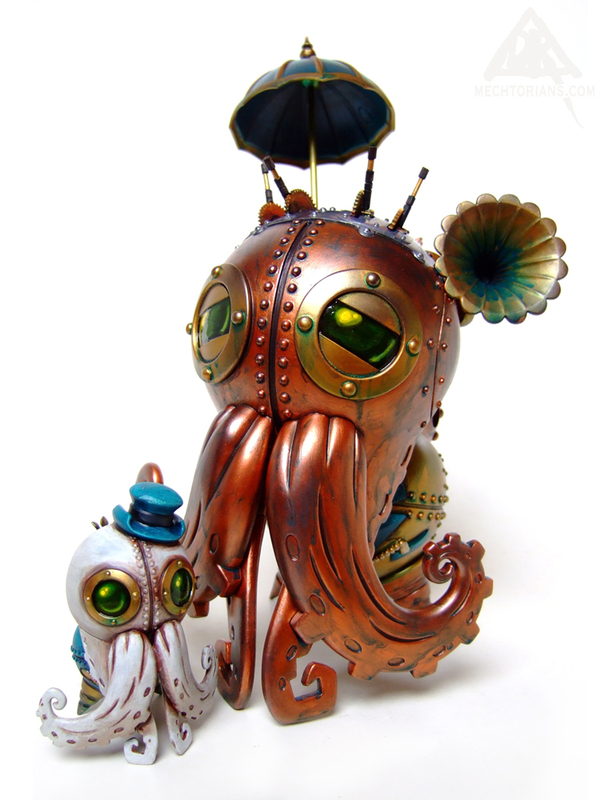 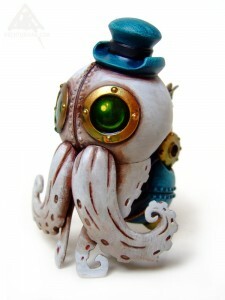 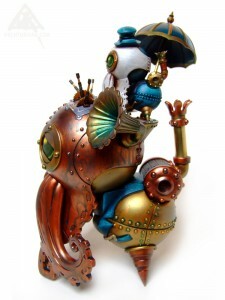 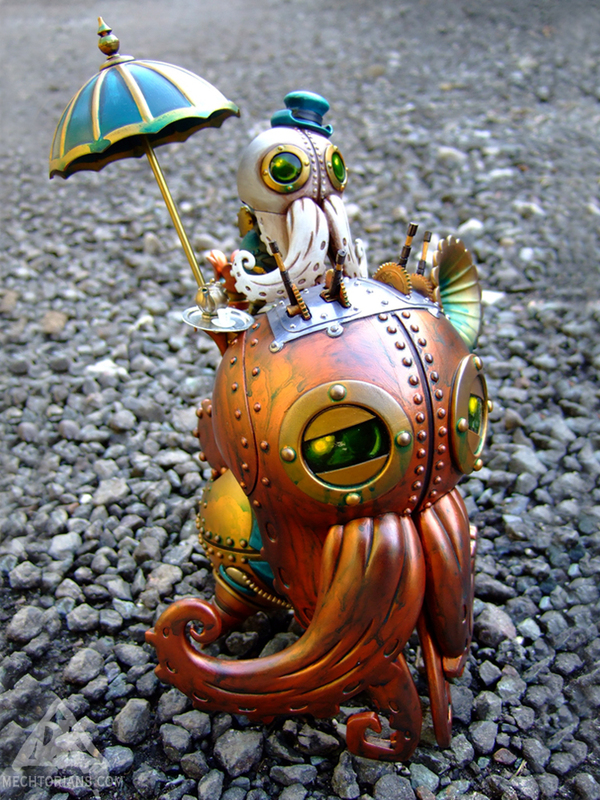 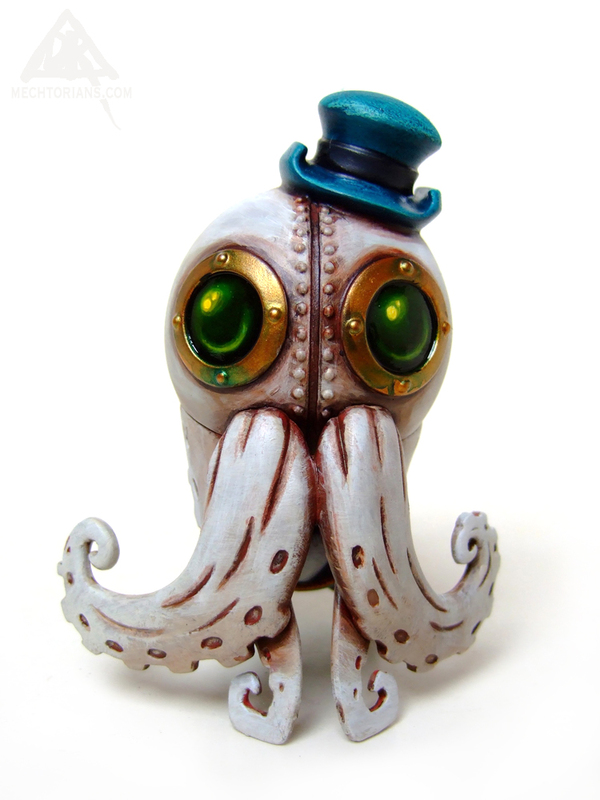 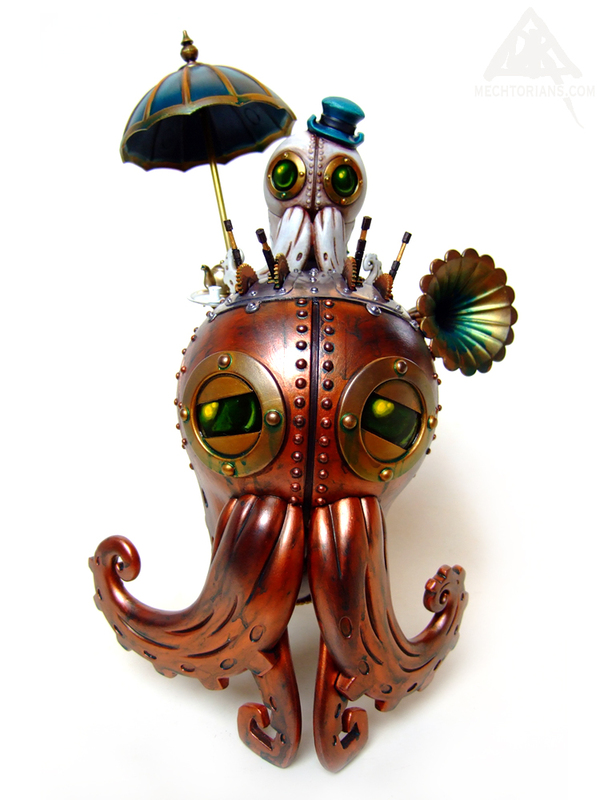 Customised Stephan LePodd toys by Mindstyle.